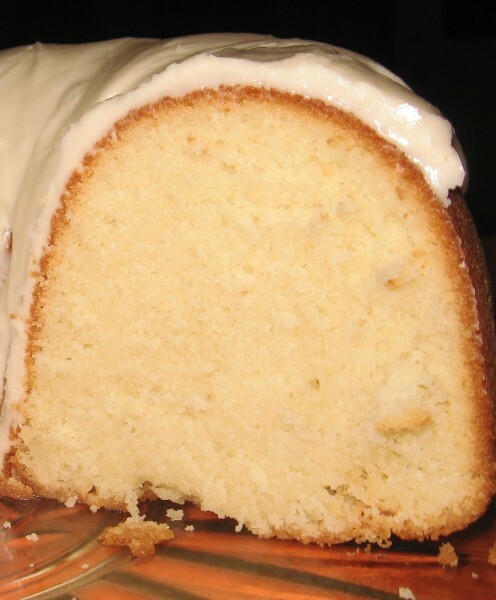 I've been making this cold oven pound cake for over 25 years and it has never failed me. It is a wonderful old recipe that you start baking in a COLD oven. An hour and five minutes later, you have perfection in taste, texture, sweetness, moisture and shape. This recipe calls for 1 pound of powdered sugar, but that was an inconvenient measurement for me, so I got out my new handy-dandy kitchen scale and (fluffed, scooped, leveled) it was exactly 4 cups. DO NOT PREHEAT OVEN. Cream the room temperature butter and the powdered sugar together with electric mixer until it is very fluffy (this will take 2-3 minutes). Beat in egg's one at a time, scraping the sides of the bowl between eggs (to make sure it gets mixed well). In separate bowl, measure out 3 cups of flour and stir in the baking powder. NOTE: to measure each cup of flour, sift it into a cup and level off the top with a straight edge. If you just dip your measuring cup into the flour, you will be getting too much flour. Add the flour mixture to the butter mixture, alternately, with the warm water. I usually do this in thirds. Stir in extracts. The final flavor of the cake has a very mild lemon flavor, you won't really taste the coconut extract, but it really adds something to the overall flavor of the cake. 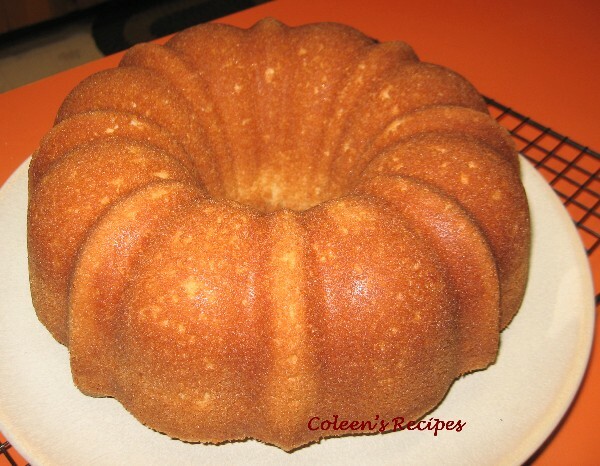 Pour cake batter into a well greased and floured 10" bundt pan (I use a cooking spray with flour in it). Shake the pan just a little to eliminate any small air pockets in the batter. Put pan into COLD oven. Turn the oven to 350°F and set the timer for 1 hour and 5 minutes. 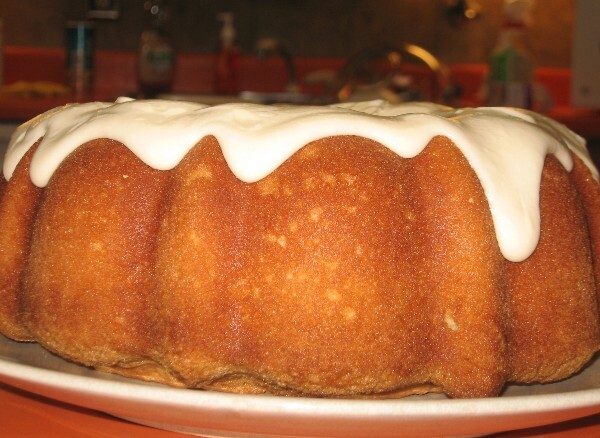 Remove cake from oven and let it sit in the pan (on a rack) for 10 minutes, then turn it out. Wrap the HOT cake tightly with plastic wrap (I do this to all of my cakes) and let it cool to room temperature before frosting. This is the perfect cake for strawberry shortcake, petit fours, or just snacking!! I've made a cold oven pound cake before but did not use powdered sugar. I'll have to try it. This looks amazing..never wrapped a hot cake in plastic..why is this wrapped in plastic vs not wrapped...I could see that is may make the moister. I'm going to make this and share on my blog. I am a sucker for ANY pound cake! And yours sounds incredible! Love the method and your instructions! So helpful to a non-baker, like me. This cake just looks amazing. I love the fact that it's an old recipe as well. I live in the Netherlands and I've just got my hands on a classic bundtcake tin just like yours. I'm going to try this pound cake as the first bundt pound cake!